Biotech sector achieves the dubious distinction of being amongst the first to slip over the Bear market threshold. Nonetheless, this should be a transitory bear market for biotechs, as the pullback is driven more by systemic issues rather than sector issues. Policy initiatives introduced in October have not diminished the fundamental attractiveness of the sector. The end of the election cycle, seasonally strong final months, a potential tariff breakthrough, and potential M&A can assist in biotech consolidation and recovery. Remain cautious on the Correction, but do not dismiss Biotechs for there are many promising opportunities pushing the frontiers of science. Biotechnology is in a Bear Market. At least the midcap and smallcap segment of it. The S&P Biotechnology Select Index (XBI), which is weighted towards the midcap and smallcap companies, has dropped 24% from its high recorded on August 30 to its lowest point past Monday. 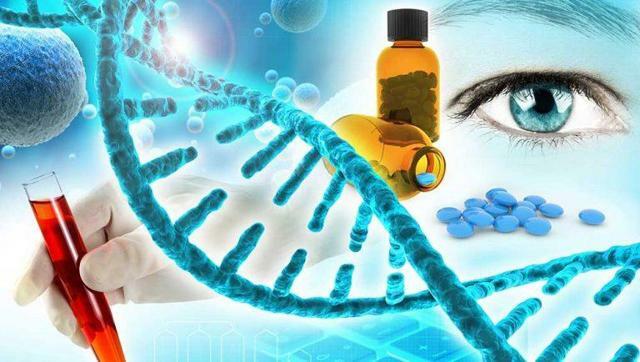 The Nasdaq Biotechnology Index (IBB), with a greater weight towards larger cap biotech companies, dropped 18% after marking a high on October 1. For context, the broader market, represented by the Nasdaq Composite, dropped 15%. Biotech stocks are inherently volatile and become more so in a risk-off environment like the one experienced during October. The steeper biotech decline compared to the broader market reflects the higher-beta nature of the sector. The pronounced downside volatility in an adverse market environment is the harsh reality of biotech investing. 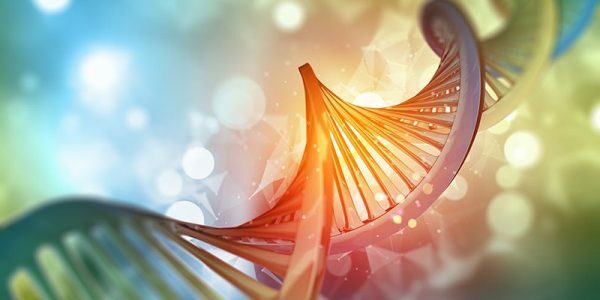 It can be highly stressful for investors and underscores the importance of managing the biotech portfolio exposure in order to maintain a suitable balance between capital preservation and capital appreciation, reflecting the investor's risk profile. A decline of over 20% in the S&P Biotechnology Index, if it remains persistent, begins to toll the bell for a biotech bear market. However, it would be helpful to understand the nature of the biotech pullback to determine its severity. A correction induced by the fear of higher rates will naturally affect the speculative segment of the market much harder - biotechs and small caps being quite representative. Sharply rising rates lower the valuations for biotechs and small caps much faster, as the discount rate for future cash flows jumps higher. Higher the discount rate, lower will be the present valuation. What is important to note is that the stock market is encountering a broader systemic pullback and not one that is unique to biotechs. In such a case, once the market is ready to rebound, biotechs should recover faster as the pendulum can often swing back harder for stocks that have fallen the most, provided the fundamental reasoning remains unchanged. 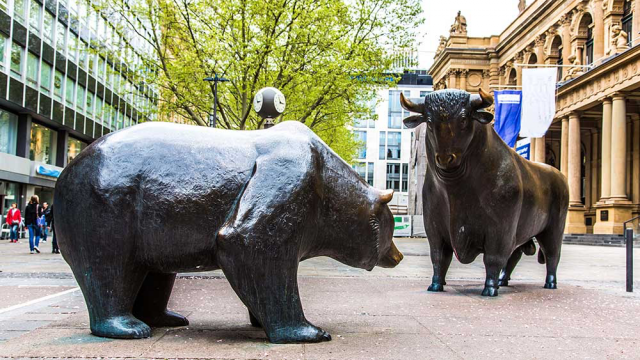 But the biotech bear is not here to stay. For a biotech bear to persist, the broader stock market needs to slip into a bear market territory as well, and conditions are not suggestive of a broad-based economic decline necessary to trigger a bear market. There is enough momentum in the biotech business to withstand the present correction. Most biotechs are well-funded, through the public and private markets, as new innovations and dynamic approaches have found a receptive financing environment. 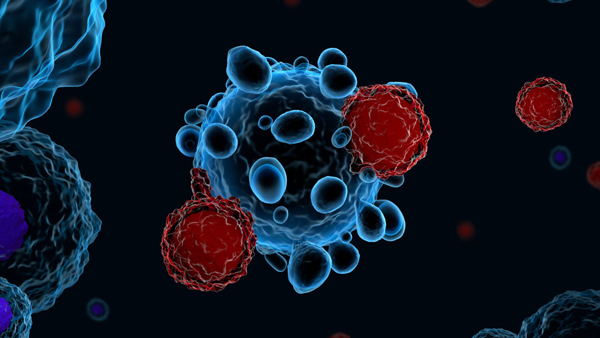 In October there have been two major initiatives affecting health care in general and biotechs and pharmaceuticals (biopharma) in particular. First, was an initiative on greater price transparency as a follow-up to the list of initiatives, called the American Patients First, with the objective of reining in costs. Earlier in the month, the Health and Human Services ((HHS)) Secretary Alex Azar, outlined a proposal requiring drugmakers to disclose the list prices of the medicines being advertised on television. The objective is that potential patients should be informed about the costs as well at the time of advertising. However, the industry vehemently opposes the proposal on the grounds that patients never pay list prices and may forego appropriate treatment based on incorrect information. At the earliest, the rule can go into effect after a 60-day public comment period. In reality, it will be many months and possibly could be years for this proposal to even become a policy as the battle between HHS and the industry lobby continues. Even if this policy was to be implemented, it will not be a meaningful setback to pharma sales, and furthermore, it does not have a clear enforcement component yet other than public shaming by the HHS department. 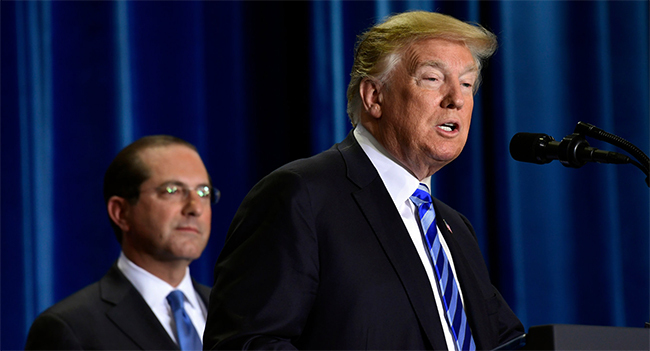 Second policy initiative, introduced last Thursday by the Trump administration, is to lower Medicare drug costs by indexing them to a certain proportion of the prices paid for the same drugs in a group of advanced countries. The drug proposal, if it materializes, could take effect at the earliest as a demonstration project in 2020. In a way, the proposal found a clever workaround to direct negotiations between the government and the drug makers, which the Republicans dislike on the concern it may restrict drug access, by using indirect negotiations through indexing with countries where governments, like in France and Germany, directly negotiate with the drug manufacturers. However, the price regulation proposal was largely considered as midterm election-related rhetoric and has not yet found much traction with both parties and, of course, the industry. It is not an imminent risk for biopharma valuations, but part of the constant theme of long-term pressure on drug prices. Both the above initiatives do not undermine the biotech valuations anymore now, then the situation prior to October. The biotech sector is not facing a fundamental issue in this correction, but a systemic issue buffetting the broader market. The stock market is being affected primarily by monetary policy concerns. Such concerns have been further compounded by the typical uncertainty associated with elections. To that extent, if the Federal Reserve does something to calm the market, the risk will diminish. Whether it does it is a different question. On the election front there is more hope, as once they conclude on November 6, the risk-off sentiment associated with that uncertainty should diminish and be helpful to the stock market. This should likely happen whatever the outcome with the control of Congress. In fact, a status quo can be considered positive since the market is expecting some change of control. 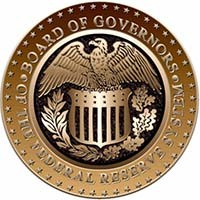 The Federal Reserve has been fairly clear on the continuation of its policy of gradual interest rate increases. The hectoring by President Trump on the imprudence of further rate increases may be limiting the Fed's ability to offer any soothing commentary to the markets, and in fact, could be nudging the bank governors to be more vocal about the rationale and merits of the present policy. The stock market is looking for some kind of an olive branch from the Federal Reserve, but most likely that won't be forthcoming anytime soon, as discussed in the article This Stock Reset Requires Patience. The monetary policy risk will improve with time as the market realizes that the Federal Reserve is highly data dependent. Perhaps at the next FOMC meeting, there can be assuaging comments added in the statement, recognizing the strength of the economy along with the risks as well of lower drifting long-term yields and a deceleration in housing. Biotech stocks have witnessed a high level of volatility reflecting the weaker market conditions. Although the sharp rise in interest rates caught the market by surprise, the earnings and election-related uncertainties were already clouding the market. Biotech valuations presently are fairly well-hinged to the outlook on the broader market. The Federal Reserve related uncertainty will not dissipate immediately. If it does, the market can have a very sharp rise. Eventually, for the stock market to overcome the sharp correction and move beyond, it is the Federal Reserve that will have to provide the final words. Till such time, volatility is here to stay and rebounds will remain restrained and tentative. But all is not bad at this point. As mentioned above, the market should benefit from the end of the election cycle, which should allow it to set anchor, consolidate, and build-up strength. Furthermore, there could be some measure of relief in the form of a tariff settlement with China during the G-20 meeting of the two Presidents in late November in Argentina. In addition, Biotech M&A activity can receive a boost, as was reasoned at length in an earlier article, Stocks Can Now Drive M&A, as the target companies have faced steeper declines than the potential acquirers like Merck (MRK), Pfizer (PFE), Eli Lilly (LLY), Gilead (GILD), Johnson & Johnson (JNJ), and Novartis (NVS), which recently acquired Endocyte (ECYT). Furthermore, the smallcap stocks, which led the broader market higher over Summer and then lower in October, are beginning to perform positively, suggesting that the bottoming-out process may have begun. Nonetheless, the market situation remains tricky overall and quite sensitive to monetary policy speculation and actions. Consequently, there appears to be no rush to reinvest the entire cash portion of the portfolio. A more calibrated approach would be to incrementally raise the biotech portfolio exposure over time as the market consolidation presents the appropriate opportunities. This is what is being done in the Prudent Biotech model portfolio, which as of November 1 is up +55% compared to the S&P Biotechnology Index decline of -7%. The portfolio is now 50% invested, up from being 40% invested in October, and further adjustments will be made as market conditions warrant. There are many promising biotech and pharma companies that should perform well over time, as the market stabilizes. A few such companies, which may be now or in the past part of our model portfolios, include Merck (MRK), Pfizer (PFE), Eli Lilly (LLY), Amgen (AMGN), Sarepta Therapeutics (SRPT), Regenxbio (RGNX), Acadia Pharmaceuticals (ACAD), Caredx (CDNA), Array Biopharma (ARRY), Neurocrine Biosciences (NBIX), Endo International (ENDP), Acceleron Pharma (XLRN), Arrowhead Pharmaceuticals (ARWR), Amarin (AMRN), Viking Therapeutics (VKTX), Proqr Therapeutics (PRQR), Immunomedics (IMMU), Intercept Pharmaceuticals (ICPT), Ra Pharmaceuticals (RARX), Pacira Pharmaceuticals (PCRX), Glaukos (GKOS), Vanda Pharmaceuticals (VNDA), Fate Therapeutics (FATE), Exact Sciences (EXAS), and Emergent Biosolutions (EBS).